Please note this item is a pre-order and will ship by late July 2018. 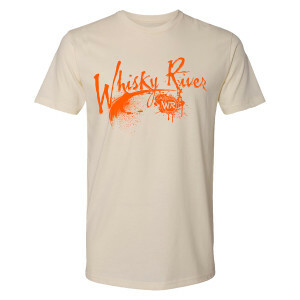 Celebrate the expansion of Whisky River into two new markets with this stylish soft-tee. With cool paintball type graphic on the front this shirt is a must-have for your collection!